From enjoying the city buzz of vibrant Cape Town to escaping to the stillness and tranquility of the African bush on your three-night safari experience, you will be experiencing the best of what this country has to offer. Once you have safely landed in Cape Town, you will be whisked away by your chauffeur to the Ellerman House in Bantry Bay. You will spend four luxurious and relaxing nights in this magnificent Relais & Chateaux boutique hotel with a driver always available to take you where you need to go. This driver will also serve as a tour guide to show you all the splendors that Cape Town and the Winelands have to offer. Ellerman House is one of Cape Town’s foremost luxury hotels on the Atlantic Seaboard and commands excellent views of the Atlantic Ocean. Comfort is paramount at Ellerman House, and each room is uniquely furnished to provide the maximum amount of relaxation blended with splendor. The central location provides visitors access to all the activities that Cape Town has to offer within easy reach. Your guide will take you the following must-see sights of the city: Table Mountain, V&A Waterfront, Cape Point, Constantia Winelands, and Robben Island. Reservations at the most exclusive restaurants in the city can be arranged for you by us at your convenience. We can also set up tee times if you would like to play golf during your stay. Once you have finished your delicious breakfast at Ellerman House you will be taken by the driver to the Cape Town airport where you will fly to Nelspruit. This is a flight of approximately 2.5 hours. With just 13 ultra-luxurious suites, you will be sure to get the privacy and attention that you deserve. Sabi Sabi Earth Lodge prides itself in breaking the mold of traditional game lodges and attempts to bring sophistication, elegance and a cutting-edge design aesthetic to the game lodge experience. 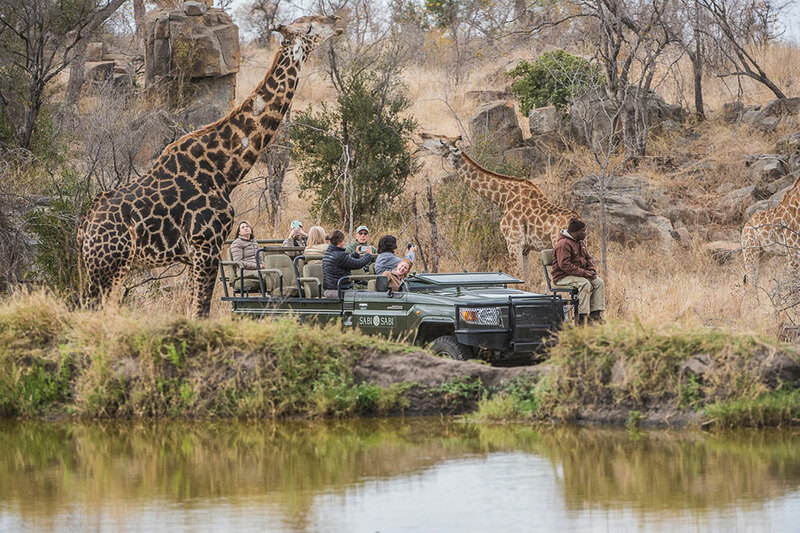 Arriving in Nelspruit a chauffeur will take you to the world famous Sabi Sands Game Reserve where you will spend 3 unforgettable nights on safari. Traversing the African landscapes searching for the Big Five and other wildlife and relaxing in the comfort of the lodge with its amazing facilities will fill your days. After a relaxing and tasty breakfast at Sabi Sabi Earth Lodge and once you have gone on your final game drive, you will be driven to the Sabi Sands airstrip where you will begin your flight home.